The Current Cleveland Blues have borrowed some traditions from the old Cleveland Blues, and started a few new traditions. Blues spread dirt from League Park at every away game's ball grounds. Blues display a bottle of "Bertman's Ballpark Mustard" at every game. After home matches at League Park, the Blues invite opposing clubs to The Clevelander for food and beverages. Blues Banner, which flys at every match, has a large block "C'" in the middle of the banner, which was made from scraps of flannel dating to the 1880's. Blues put a pin on our banner from every place we play (when possible), and every event that gives the club a pin. Blues Record Book has recorded every score and at bat of every match we have played, making the role of theTallykeeper just as important as a player. Blues use a large crock for water at matches. We add cut up lemons and add them to the water to add some ginger to our play. Blues always have salted peanuts at the match for the players and our opponants to snack on during the match. The club creates a flyer to pass out to people at the games, educating fans about early base ball, vintage base ball, League Park, the 1878-1884 Blues and the current club. The Blues use two bats that are exact replica's of two of Cleveland's greatest base ball players: "Shoeless" Joe Jackson's "Black Betsy", and the Nap LaJoie double knobbed bat. Players use the bats in matches. 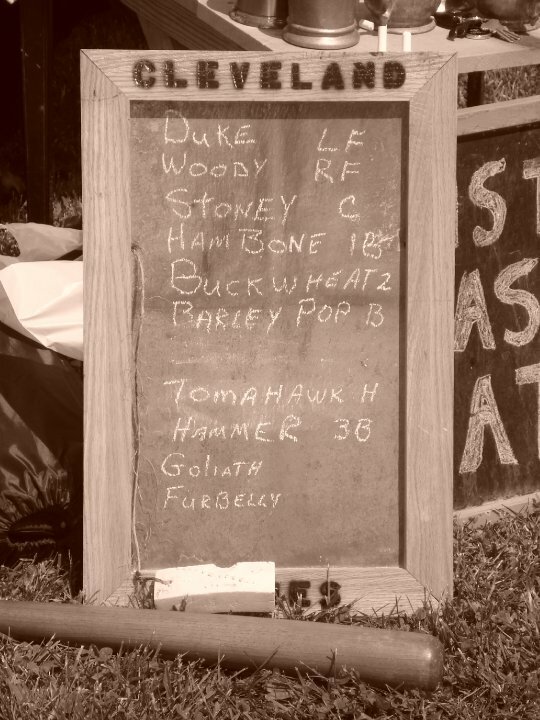 The Blues Field Captain, Hammer, writes the line-up for games on a piece of slate shingle that is well over 100 years old. The Blues bat box is a bonafide antique, dating back to the 1860's or 1870's. According to the antique dealer, it came from her private collection, and was either a storage box on a train, or an ammunition box from the Army during the Civil War period. Blues use a wire egg basket to hold our onions. Sometimes, we will put an actual onion or lemon in the basket with the balls, to remind people what the ball was called back then (an idea we borrowed from the Akron Black Stockings). We also put various things we find on the field in there, including golf balls. Finally, you'll find a Lake Erie Crushers modern baseball, which was thrown out by the Blues as a first pitch before one of thier games. The Blues use a Silver Dollar from 1858 as the coin in the coin flip prior to matches. Many of the Blues bats were made by two of our players - Hammer and Bristles. 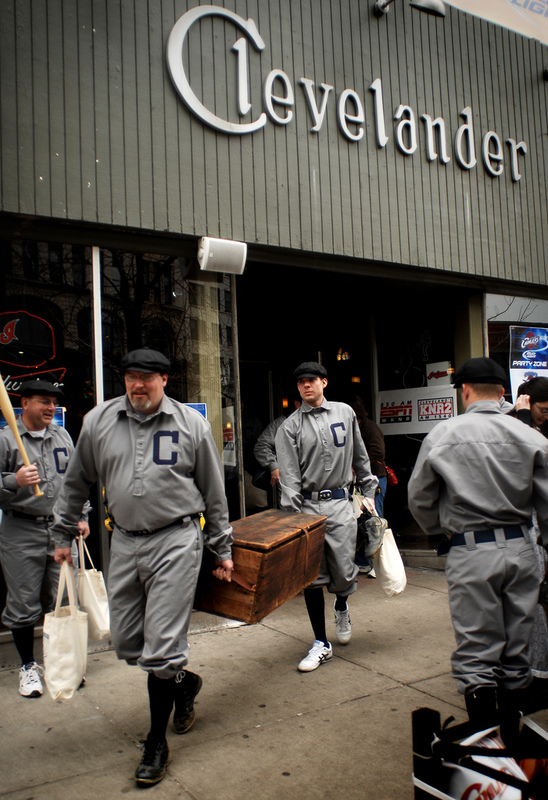 Beginning in 2011, the Blues will have a clubhouse on the 3rd floor of The Clevelander. The clubhouse will have a bar, tables, our trophy balls and trophies, as well as pictures and memorablia from the 1878-1884 and current Blues base ball clubs. 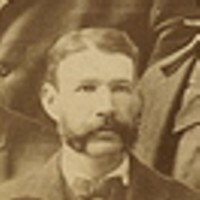 September 13 is "Blues Day", and signifies the day that Hugh "One Arm" Daily pitched a no-hitter for the Blues in 1883. Blues play the Alliance Crossing Rails every season for "Old Sledge" - a turn of the century 100 pound sledge hammer. The hammer is made of iron and wood.